Sometimes we find God in what could, on the outside, seem like the strangest places. I was recently visiting my girlfriend’s family in Arizona and a couple people told us to visit the Sedona vortexes. I knew Sedona had great beauty but I had never heard of the vortexes. The Sedona vortexes are so called “energy centers” on the earth where there is a higher than normal energy concentration. Supposedly this energy has effects on one’s inner being. The people who told us about them were practising Christians—and at first they were sceptical—but they told me that their visit to the vortexes really changed them. They found an amazing peace there, perfect for meditation. Sedona is filled with new age shops selling all kinds of things, primarily crystals, which are said to spin wildly at the vortexes when placed at the end of a string or chain. I didn’t buy any crystals but I figured I’d stop by one of these vortexes to see what the fuss was about, even if just to see more of the town. One of the main sites was on the road to Sedona’s small airport. The elevation was about 4,500 feet and surrounded by the red rocked mountains that filled the area. We parked in a small parking area at the side of the road where other vortex seekers had parked as well. We walked over the red dirt, up a small hill and came to rest at the top. Around us 360 degrees were stunning views of red and orange rocks bathed in sunlight and shadows and in the distance snow-filled clouds settled on one jagged ridge. There was a slight breeze but otherwise it was quiet. Was there a stillness in my inner being? There sure was, but I think it was because of the beauty around me. My being felt the stillness of God’s beauty, in the sky, the snow, the rock and valleys carved into the landscape around me. I think the peace and tranquility at the vortex was indeed caused by a special energy: God. While I don’t want to discount the authenticity of other visitors’ experiences, we can forget that even natural occurrences (as opposed to supernatural), such as beauty, has tremendous power over our souls. This is why I love making retreats at retreat houses in beautiful areas filled with nature, whether by the sea or in the woods. And perhaps for you God’s power can be found in a small crystal or a massive red rock in the Arizona landscape. Perhaps it can be found in the majesty of a stunning view or in the peace of a moment of solitude. This is the sacramentality of everyday life: that the things themselves do not produce power but rather reveal to us the reality of God’s presence around us. 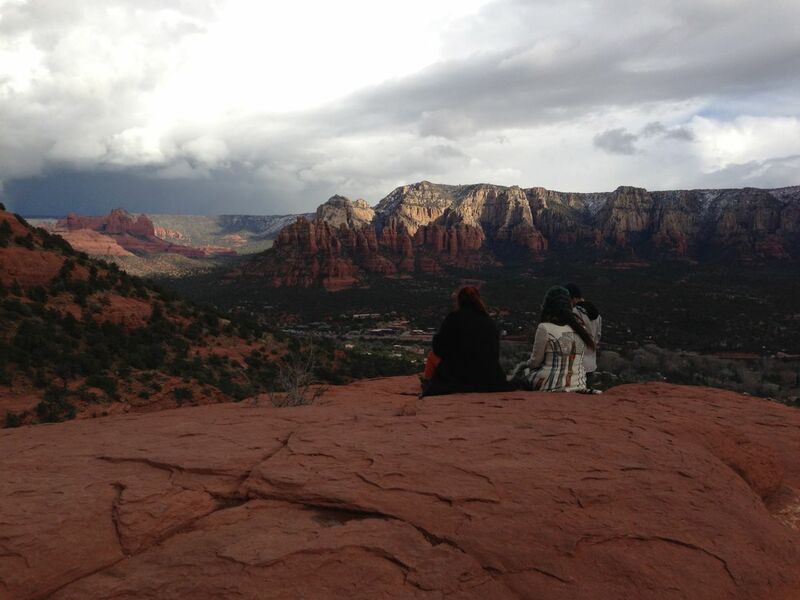 So if you ever go to Sedona, Arizona – stop by the vortexes. It’s beautiful.